The houses were tiny. The crowd was not. 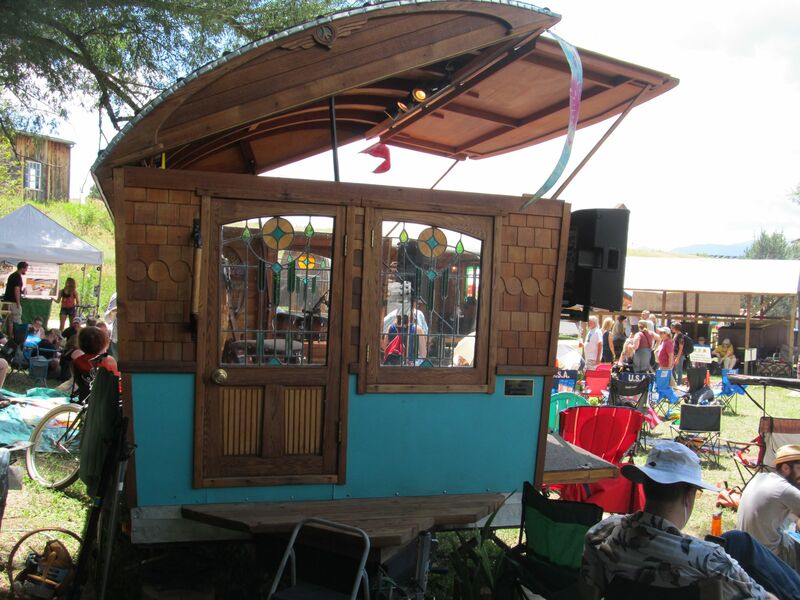 I was lucky enough to hear about the Tiny House Jamboree just in time to sign up to go. I didn’t get to make it the first day, a Friday, but I did make it for the other two. Me and about 17,000 other people. Apparently the turnout was . . . unexpected. 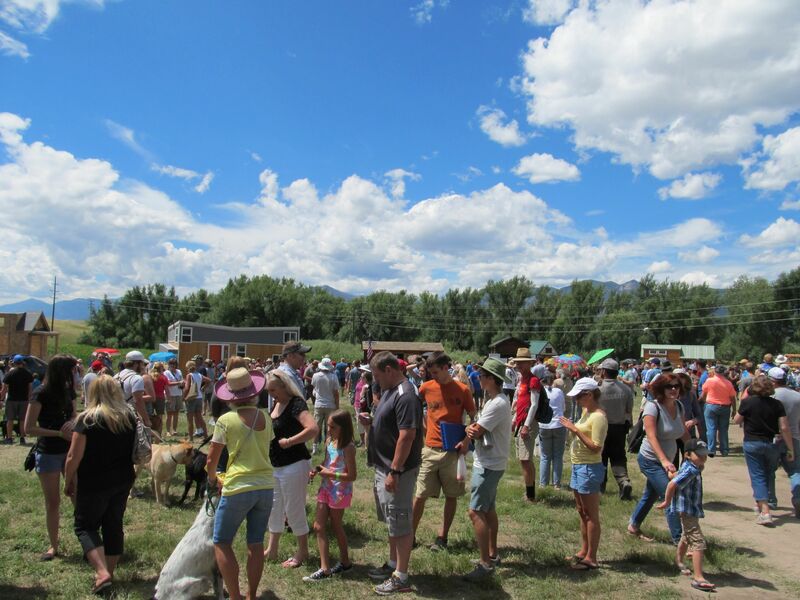 But even with the long lines for food and tiny house tours, the people were cheerful and chatty. Like any group who finally finds others that share their non-mainstream interests. It happened to be in my back yard, but there were people who came from around the country and around the world to join in the festivities. The houses came in all shapes and sizes. I listened to most of the speakers, and the one thing that struck me about all of them is that this movement may be going mainstream, but its arms are still open wide for anyone who wants to learn and participate. And it also embraces many, many different ways of expressing “tiny living.” Once upon a time, you had to build, and probably even design, your own house. Now, you can buy one pre-made. You still count as part of the community. 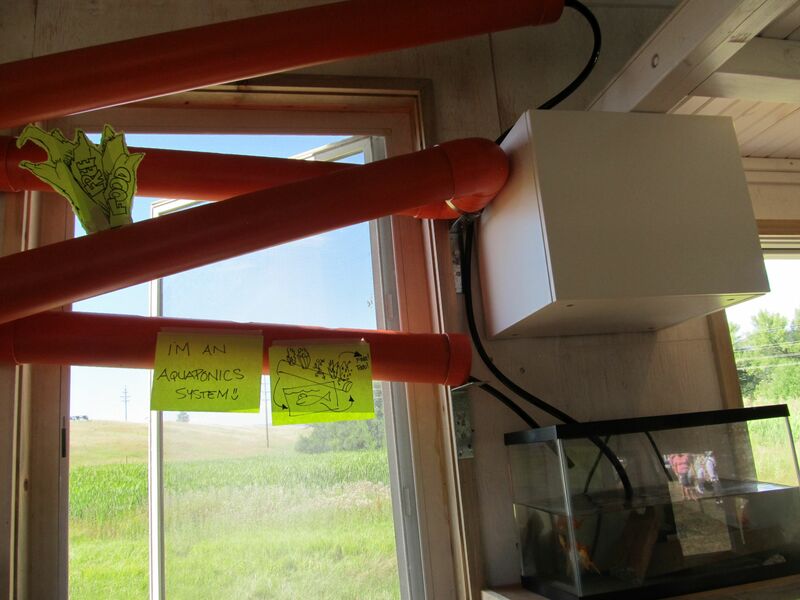 One speaker even defined a “tiny house” as any house in which every square foot is used well. If you are fully utilizing every space in a 5,000 square foot house he might question your definition of “utilize,” but he believes that you count, too. It is not about shoe-horning yourself into the tiniest space you can manage, but about defining and using only the space you actually need. I kind of fell in love with the Gypsy Wagon Stages they brought in. In fact, it felt very much as if the tiny houses themselves were really secondary to what the actual movement was about. The movement itself seems to be about redefining each person and their place in the world so that instead of living the way society says they “should” live, they have the option to live as they, themselves, believe they should. 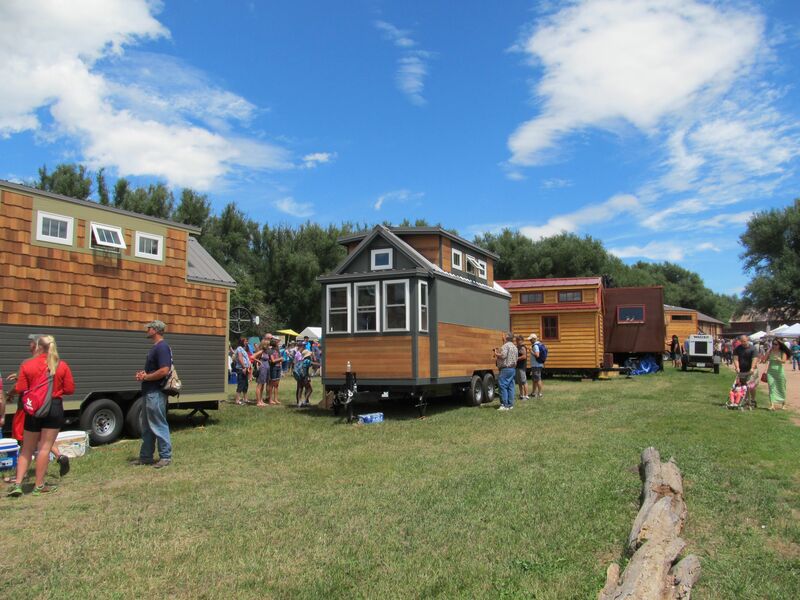 Tiny homes tend to have tinier bills attached, and if you’re only living in 200 or even 500 square feet of space, you really have to think about the “stuff” that you spend your money on. If you’re freed up from the heating and cooling bills from a McMansion and you simply don’t have room to put yet another enormous TV, what do you do with your money? All of a sudden, you have options. 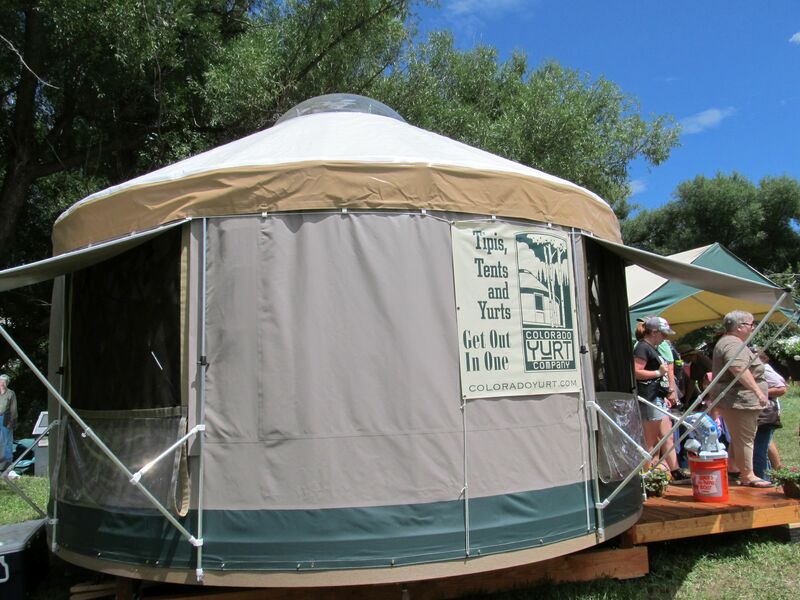 They call it a yurt, but, given the space on the inside, it might have been a TARDIS. One of the speakers was Vina Lustado, an architect who was discussing design with us. She believes that beyond aesthetics, and function, design can redefine your lifestyle, environment, and community. In short, design is a process in which to solve a problem. She was brought to the tiny movement because, as an architect, she found herself constantly working for big projects for big companies with big budgets. It was all about big mortgages and big cars. Big, big, and more big. But all that big comes with big bills that tie you down. That didn’t sit well with her. So she designed herself a home and a life that didn’t require the big mortgages and big bills, which then let her branch off to start helping others with their tiny dreams. Some people need gardens . . . Going against the grain can be scary, though. Andrew Morrison discussed this fear- and the fear that keeps us from doing a lot of the things that would make us better people and the world a better place. 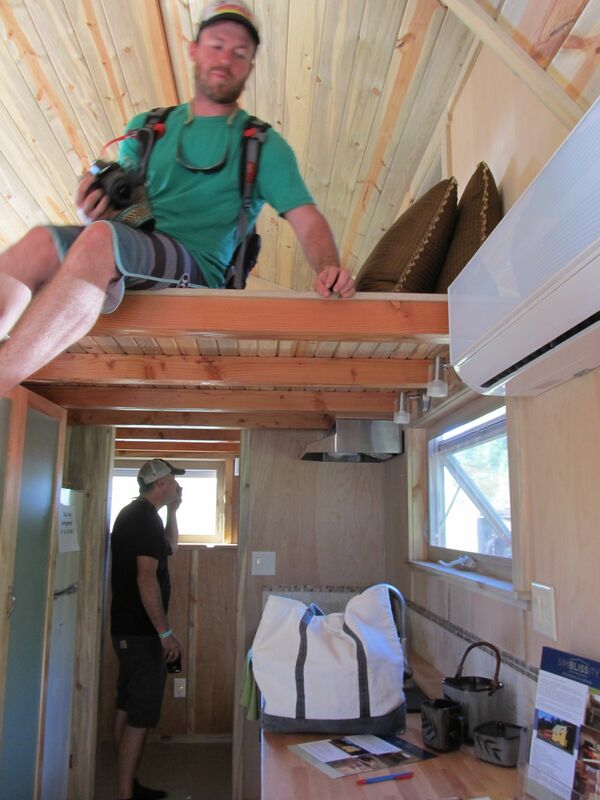 His definition of a tiny house is “human-sized.” The right size is defined by what is appropriate to you, personally. The hard part of this is that you can’t ask someone else what the “right size” is. You have to ask yourself, and be honest, about who you are and what your needs are. What are the things that bring you joy that you don’t do? Why not? Now, one layer deeper, really why not? According to Jack Hanfield, everything you want is on the other side of fear. Andrew pointed out that fear is also a message. What is it really telling you? You’re afraid you won’t be able to pay the mortgage. Then invert it- what you really desire is financial stability. He likes to invert things to give them a positive slant. Eliminating debt is less satisfying than building wealth, because you’re running from, not running toward. What is standing between you and your passions? How do you resolve or remove that block? In the end, it’s not about succeeding, it’s about not giving up. I have lived in apartments that are not only smaller, but way less inviting, than the SimBLISSity House. Byron Fears had a slightly different take on how to define your space. As a designer and builder, he spends half his time trying to talk clients into bigger spaces. It’s not because he’ll make more money, but because most people don’t take into account exactly how much room they need for the stuff they love. He lives, and builds, up in Boulder. We like our outdoor play in Colorado, and that requires gear. Multiple coats, multiple pairs of boots, skis, backpacks, bikes. 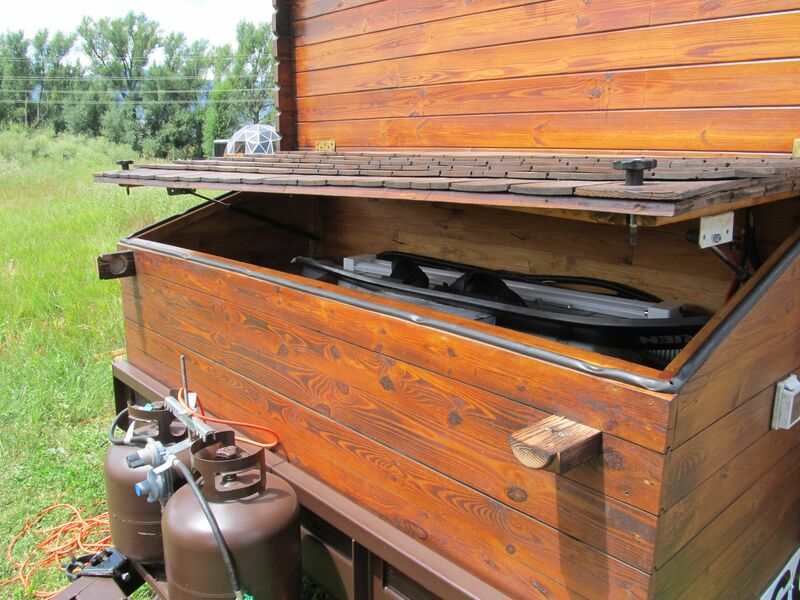 In fact, on a lot of his houses, he builds on a bicycle garage for just that reason. But there are also other things that make the house a joy. Do you like to cook? Make sure you have a real kitchen, not a hotplate and a dime-sized sink. Also consider your food shopping habits. Will that tiny fridge really work if you don’t shop daily? Take into account not just who you are now, but also who you want to be. Do you see a spouse, kids, dogs, grandkids in the future? Should you build in stairs, not a ladder, because your knee isn’t going to handle a ladder for too many more years? While the couch makes for an excellent storage space, it, and the loft, should also take into account comfort and being inviting to others. On the other hand, are there silly redundancies like a bathroom sink AND a kitchen sink? Do you really need both- and the plumbing for both? In short- are you using your space for living, or for silly crap? Having a shed is just useful when you’ve got hobbies. I have a lot more thoughts, and pictures, so I believe there will be another post with more speakers. Hi- Thanks for the mention of my talk! I’m glad you enjoyed it. However, please correct the spelling of my name to Vina Lustado. Thank you! I am so sorry about that! It’s fixed- thank you for pointing it out!